We are trying to install refillable water bottle/drinking fountains around Ipswich to encourage people to reduce plastic water bottle use. We would like to install a station by the IHS football field and stop selling plastic bottles at games (possibly by selling reusable water bottles instead). We want to raise awareness of the harm that neonicotinoids cause for bees. While we don't yet have an end goal, we would like to reduce local usage of neonicotinoids. We are creating a way to educate the public of marine pollution and how to prevent it. We will be building an info board for cranes beach and also putting together a curriculum for an elementary class. We are trying to create a better and more efficient way to recycle and compost out at the turf field for the sports team. Analysis of the Data outputted from the two Ipswich Wind Turbines, as well as other smaller projects for Ipswich Utilities. Michael D'Agostino, Kevin Swenson, Matt Rugo, Zach Long, and Pat Gillis have decided to take on multiple tasks such as informing the public ways to save water and targeting areas where there are large amounts of pet waste. Alex Bruhm, William Zambernardi, Tom Herron, and Audrey McMorrow are making the Waste Station in the lunch room more compostable friendly. They will teach the high school how to use it. The current set up in the cafeteria is unsustainable and we need to have less waste and recycle and compost more. Kendra Williams is developing this website and designing promotional materials for the class as a whole and for external projects within the community. Johannah Johnson aims to educate the public about how waste and chemicals from our streets gets into the locals waterways. 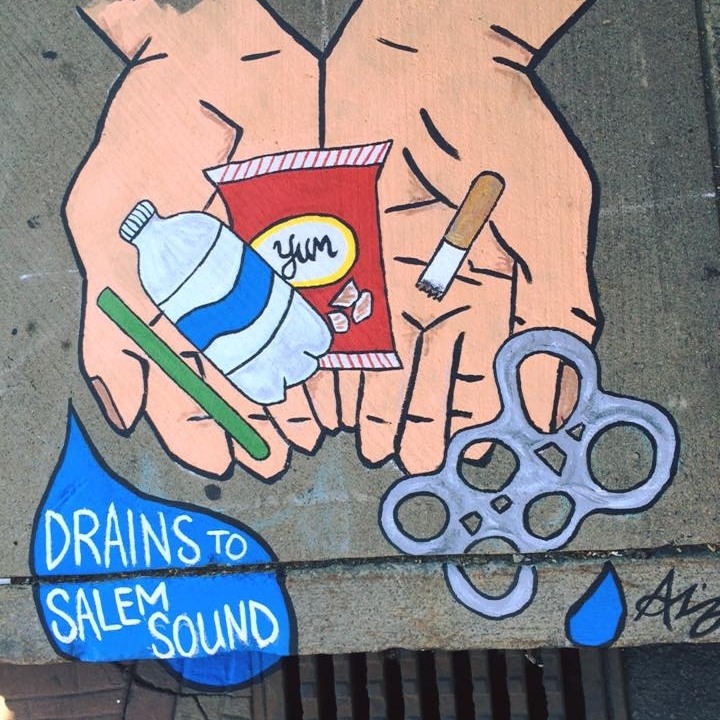 Murals will be painted on the sidewalks around storm drains to educate the pedestrians. Tessa Devoe is helping the community adjust to the upcoming plastic bag ban. 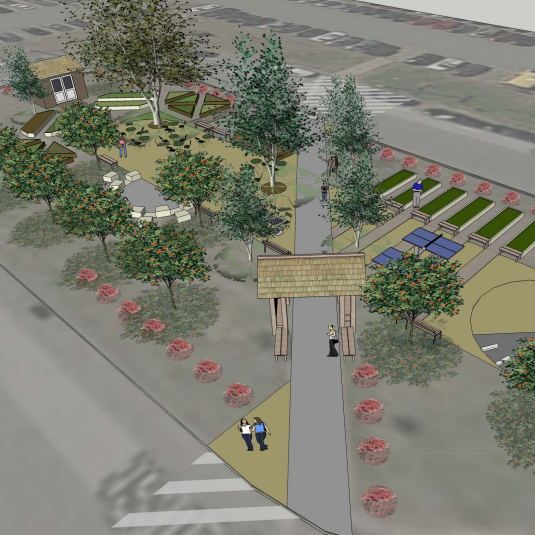 Charlize Vermaak and the Ipswich Schools Green Team are working on recreating the school garden into a larger and lusher area in front of the Ipswich High School. When finished we would like to be able to have the community's younger and older generations work together and plant with each other. It will also become a spot where students of the high school will be able to have outdoor classes and a nice and refreshing environment for learning.